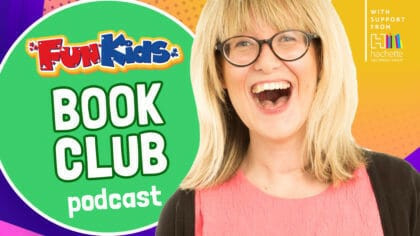 Ali-A and Richard Graham on the Fun Kids Book Club podcast! A brand new episode of The Fun Kids Book Club is out now! In it, you can hear Sean chatting to YouTube star Ali-A about his new book Ali-A Adventures: Game On. Plus, Dan is joined in the studio by Richard Graham, author and illustrator of The Cranky Caterpillar. Richard also gives us an exclusive reading of the book, plus Imogen joins Bex a countdown of her top 5 Spooky Stories for Halloween! Every month Bex is here for the Fun Kids Book Club where she meets your favourite authors and finds out what makes them tick. They also stick around and read parts of their books for us! 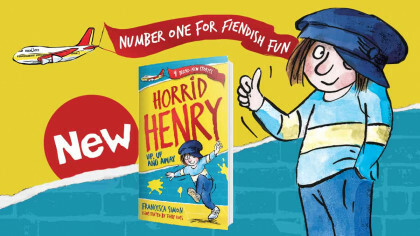 PLUS Bex and friends recommend their favourite kids books of the month.